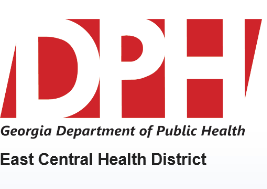 For persons who may have been in contact with someone with active TB disease, the Richmond County TB Control Office strongly recommends that you receive a TB skin test. If your test is negative on the first round of testing, second skin tests are needed because it can take up to 3 months to develop a positive skin test. Testing is provided at all of our 13 health departments or you may choose to go to your private doctor. We have posted questionnaires/permission slips that you may fill out and bring to the health department as well as forms that you may take to your private doctor. Feeling sick or weak; weight loss; fever; night sweats; cough; chest pain; coughing up blood. YES, TB is curable with adequate treatment and medical follow-up. Tuberculosis is preventable! HOW CAN PEOPLE TELL THEY HAVE TUBERCULOSIS? WHAT IS THE DIFFERENCE BETWEEN TUBERCULOSIS INFECTION AND TUBERCULOSIS DISEASE? People with Tuberculosis disease are sick from germs that are active in their body. They usually have one or more of the symptoms of Tuberculosis. They are capable of giving the infection to others. Permanent body damage and death can result from Tuberculosis disease. Medicines that can cure TB are prescribed and monitored very closely. Tuberculosis infection means that the person has the germ that causes TB in their body. They are not SICK because the germ is inactive in their body. They cannot spread the Tuberculosis germ to others. They may develop Tuberculosis disease in the future. Medicine is often prescribed for them to prevent the development of Tuberculosis disease. WHERE CAN YOU GET TESTED AND TREATED FOR TUBERCULOSIS (TB)?